Tire giant Bridgestone Corp. will pay about 35 billion yen ($344 million) to become a major sponsor of the International Olympic Committee in a deal that will cover the 2020 Tokyo Olympics, sources said.The 10-year deal will recognize Bridgestone as one of the 11 top-ranked worldwide sponsors under the TOP (The Olympic Partner) program. The agreement will allow Bridgestone to use the Olympic logo globally for advertising and other publicity purposes. Under the TOP program, only one company is selected from a specific industrial sector. Bridgestone will also likely be given preference in supplying tires for vehicles used to transport athletes and supplies during the Olympic Games and preparation stages. 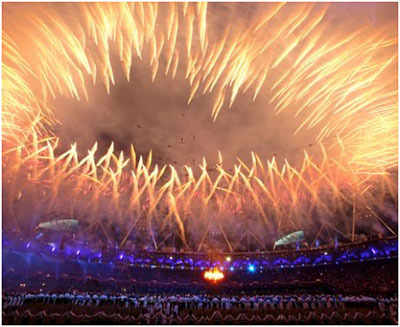 The deal will run from the 2016 Summer Olympics in Rio de Janeiro and cover the 2020 Summer Games, the sources said. Bridgestone will likely sign the formal contract in June, when IOC President Thomas Bach is expected to visit Japan, the sources said. In the 1980s, three Japanese companies, Panasonic Corp., Brother Industries Ltd. and Ricoh Co., were TOP sponsors. Currently, Panasonic is the only Japanese company with the honor. The electronics company signed a contract in February that extends its sponsorship agreement with the IOC until 2024. Commercialization of the Olympics began in 1984, when the Los Angeles Olympic Organizing Committee signed exclusive sponsorship contracts with one company in each industrial sector. The following year, the IOC incorporated the program under its own auspices and signed contracts with such global companies as the Coca-Cola Co. and McDonald’s Corp. There are other layers of sponsors that sign contracts with individual national Olympic committees, as well as with the organizing committees of specific Olympic Games. Such sponsors are given a more limited ability to use the Olympic logo domestically or during those specific Games. In April, the IOC also named Tsunekazu Takeda, the head of the Japanese Olympic Committee, to chair its marketing commission.